Corporate blogging is the practice of creating content that addresses industry updates, expert tips or best practices and company news from the perspective of a brand. It is used by businesses of all sizes as a means of content marketing. The blog may be written by executives within a business or by professional SEO and content writers with industry expertise on behalf of the business. 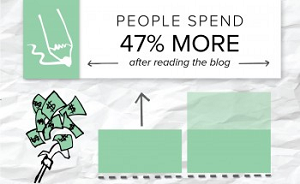 Marketers who blog are 13x more likely to see a return on investment than those who don’t create content. Distributing headlines can drive engagement while helping build a social media presence. Sharing headlines of newly posted blogs on social networks will improve traffic to these pages and improve the overall accessibility of businesses, giving them a voice in their respective industries. 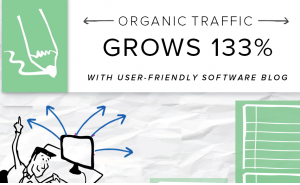 This has proven effective, as Hubspot’s 2014 State of Inbound Marketing Report noted that marketers who blog are 13 times more likely to see a return on investment than those who don’t create content. 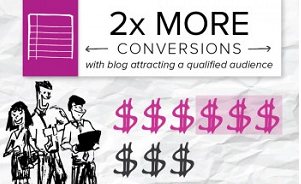 Ultimately, corporate blogging must be part of an overall integrated content and conversion marketing strategy. SEO and thought leadership are strong motivations, but corporate blogging that undergoes conversion optimization can enhance lead generation.